"Will be back next year." Read our customers' honest and impartial Land Rover Range Rover car reviews and ratings to easily find your next car at Motorparks. I am really pleased with my Range Rover, it's a superb daily driver and the sales process and hand over experience have been excellent. Highly recommended. We're extremely pleased with the RR Velar. Very smooth drive and sleek lines. Having had a Jaguar F-Pace which was nice, this one drives more comfortably probably due to the air suspension. Reasonable fuel consumption for a car of this size. It's everything I had hoped it would be. As a committed Range Rover driver, I was looking forward to new technology. This car has not disappointed. New to Range Rover and the Velar looks amazing and is lovely to drive, gadgets galore on the screens, not sure how useful they are yet, but fun playing. Need a degree to work them though as it's not that intuitive, but maybe I'm used to BMW. Disappointed with myself for not interrogating the basic spec. Manual seat adjustments, traffic on sat nav doesn't work without a SIM card that you have to buy separately and the boot doesn't have auto close as standard unlike a Kia. We're very pleased with our new car. The car was delivered in stunning condition and is lovely to drive. We feel very safe in it and are proud to own a Land Rover car. I ordered the new Velar "blind", as soon as the model was announced, and am really, really pleased with it. I assumed it would be like a small Sport, or a large Evoque, both of which I had, but it is significantly better than either in almost every respect. Much more comfortable drive, massively advanced technologically, and hard to fault - although my 3.0 litre petrol engine is typically thirsty. When the hybrid arrives one day, it will get 10/10. The New Velar drives smoothly and it has a lot of elegant features. Definitely my car of the Year. The Range Rover Velar R Dynamic has quite simply managed to combine adequate space, power, stunning aesthetics and versatility. Also, the sales team worked tirelessly to ensure we got the extras we wanted! Worth paying up for the R Dynamic. The car was definitely the right choice. Elegant, smooth driving and feels very sturdy. If there is a fly in the ointment it's the level of computerisation. It is a highly computerised vehicle. I am always sceptical of new cars in that because they are more or less computers on 4 wheels, when something goes wrong then the whole car will practically shut down. The car is a dream. It has everything I wanted and more. Very fast and very comfortable, it is a pleasure to drive. Great safety features, superb audio, excellent climate control and beautiful to look at. I loved my last Vogue but the Autobiography takes enjoyment to a new level. Well done Land Rover. Fantastic cars to drive - as always! - but the new electronics tend to be a bit hit or miss. Often cameras don't work and/or rear sensors are a bit random. Hopefully this will be fixed on the next firmware upgrade. Love my new Velar. Touchpad screens very easy to use. My remote app also simple to use. Pleased with mpg as opposed to my previous RR Sport. Absolutely love it. Thank you. This is the second Range Rover we have owned and I wasn't disappointed. 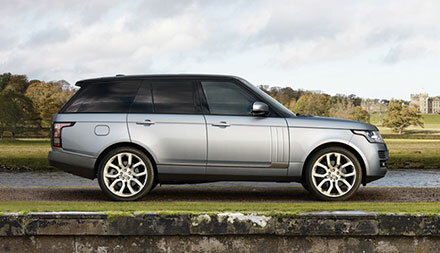 We bought the Range Rover Autobiography V8 super charged and what a car. We have owned top end BMW X5 cars, but this is on a another level for all round build quality and drive. Service from Grange Woodford was great and would come back to do business again. Great Car and great customer service from Grange. Recently bought the Velar, a perfect purchase for a family of 4. The quietest diesel SUV. Very technological with lots of features. A smooth comfortable ride. Very happy indeed. My new Velar has Range Rover presence and the touch screen controls are excellent. Excellent car, better to own than expected, ticks all the boxes. I have just bought a Range Rover Vogue 3.0 Tdv6 from Grange Barnet Land Rover. A fantastic car and the quality of sales service provided by Grange was impeccable. Very nice car. We are loving it. Great car. Useful functions and drives really well. I do think a lot of work is needed on the incontrol mobile app though. And it's high time JLR roll out Android auto/Apple Car Play as standard. So, so happy with my new Range Rover 4th one I have owned. The upgraded interior is a real move forward from my Sep 15 vehicle. Car has just gone past 1,000 miles and is averaging over 32 mpg in real life driving. I am so happy to recommend it to anyone who is thinking of changing, it's a real move forward. Browse our buyers impartial and informative new and used car reviews and ratings. These are honest reviews left by our own guests who have visited and bought a car from one of our Motorparks car dealers. Once you have found your ideal car from reading our car reviews you can contact one of our car dealers who will be happy to assist your purchase of this car.